Eunice Mesa, right, UHV senior training coordinator in Human Resources, poses with David Cockrum, UHV interim provost and vice president for academic affairs, after being named the university’s 2018 Employee of the Year on Monday at the annual Faculty & Staff Recognition Luncheon. 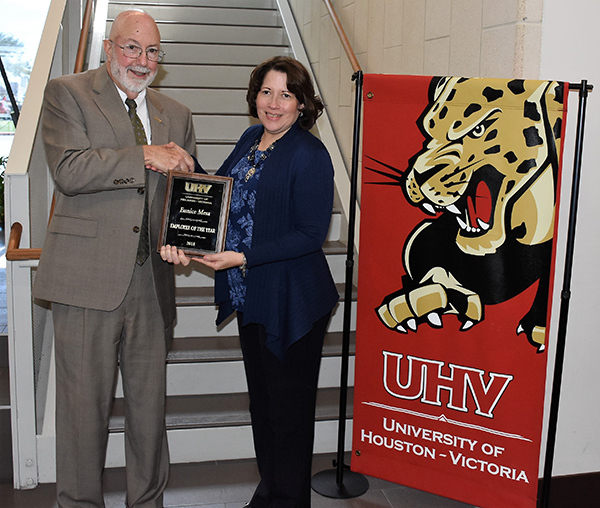 A longtime University of Houston-Victoria employee in Career Services and Human Resources was named the 2018 Employee of the Year Monday during the UHV Faculty & Staff Recognition Luncheon. Eunice Mesa, senior training and development coordinator in Human Resources, was recognized at the annual luncheon in honor of faculty and staff members celebrating employment anniversaries and the Employee of the Year. Mesa was hired at UHV in 2004 as a temporary professional in community development and became a benefits-eligible employee as the Career Services assistant. She was promoted in 2012 to Career Services manager before being transferred in 2014 to Human Resources, where she is today, identifying training opportunities and developing training plans, among other duties. In her nomination, Mesa was applauded for her willingness to help others. 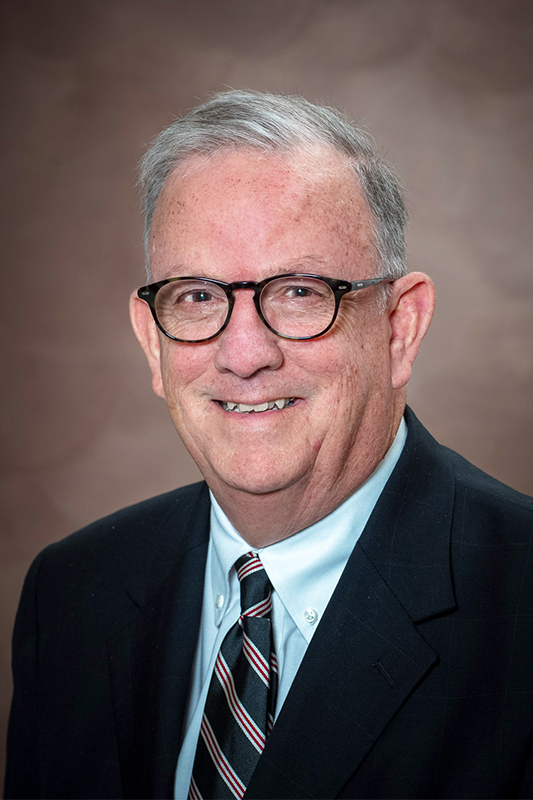 UHV employees choose the Employee of the Year by casting votes on an email ballot listing each 2018 UHV Employee of the Month. Mesa received a $500 check, a UHV T-shirt and a plaque. Her name also will be engraved on an Employee of the Year plaque displayed in UHV University West. 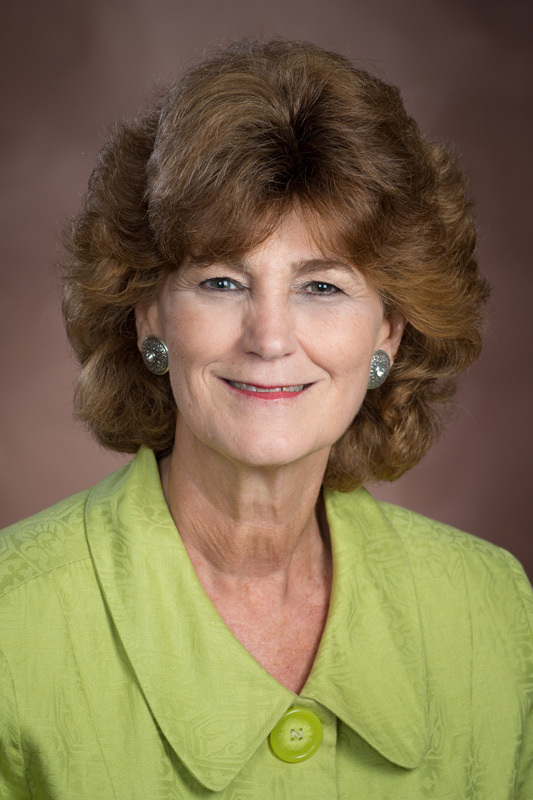 A similar reception for faculty and staff at UHV Katy will take place Wednesday. Employees who have worked at the university for five, 10, 15, 20, 25, 30 or 35 years also were recognized on Monday. Each employee’s name, title and department is listed below.